West Hawaii Dance is pleased to welcome Guest Artists Brett Bauer, Raissa Chazova-Bauer and Miho Tsutsumi to our studio. They will be instructing students in Ballet Technique, Pointe and Variations on select days this August. See the class list below. Brett Bauer is an individual dedicated to bringing his enthusiasm and love to instruction and education in all forms. He is committed to aiding people so they may live by their highest values and achieve their greatest goals. 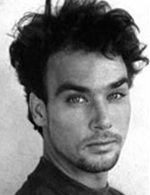 After receiving training at the National Ballet School(Canada), The Kirov Academy (Washington D.C.) and San Francisco Ballet School, Mr. Bauer enjoyed a more than 15 year dancing career, beginning with Suzanne Farrell’s touring company in 2001, then joining the San Francisco Ballet as a corps member from 2002 until 2010. During his time with SFB, he performed a variety of Soloist and Principal roles in works by Helgi Tomosson, Lew Christensen, George Balanchine, Christopher Wheeldon, Yuri Possokhov, Stanton Welch, Paul Taylor, Sir Frederick Ashton and Mikhail Fokine to name a few. In addition, he appeared in the PBS filming of The Nutcracker performing in the Arabian trio, and participated in company tours to Greece, France, London, China and throughout the United States. 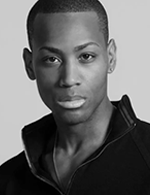 In 2010, he took his talents to Portland Oregon joining Oregon Ballet Theater under the direction of Christopher Stowell, joining as a Soloist, then being promoted to Principal dancer the following season. Brett had the privilege of performing classical leading male roles in Sleeping Beauty, and Swan Lake(C. Stowell). He also performed Principal roles in Stravinsky Violin Concerto, Square Dance(Balanchine), Rassemblement, Por Vos Muero(Duato), Almost Motzart(Kudelka), as well as notable character roles in Cinderella(Stevenson), Prodigal Son, Nutcracker(Balanchine), and Gisselle(DeAvila). Brett’s time here also included two tours to South Korea, performing The Nutcracker in summertime and multiple US tours including representing OBT in Ballet Across America at the Kennedy Center in 2013. 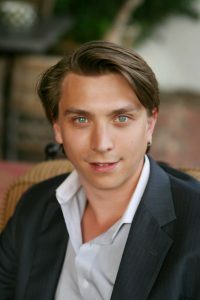 In 2015 Brett moved to San Jose as a Principal dancer for Silicon Valley Ballet(formerly Ballet San Jose) under the direction of Jose Manuel Carreno. There he enjoyed a productive, though brief season, due to a company collapse only months after joining. He was fortunate enough to preform Albrecht in the American premier of Alicia Alonso’s Giselle before the company’s disbandment and is forever grateful for that honor and opportunity. Brett has been instructing for summer courses and leading master classes for over 5 years now, finding time to hone this aspect of his knowledge while completing his dancing career. Only recently has Brett become a full time teacher, as since his retirement from dancing in 2016 he has dedicated his time to learning and helping people maintain or restore their health and wellbeing, while seeking his own. He has worked as an Aide at Active Care Physical Therapy in San Francisco while pursuing his training to teach the GYROTONIC® & GYROKINESIS® systems, as well as becoming an ABT® Certified teacher for Pre-Primary through level 3 and recently achieved ABT® Affiliate Teacher status. He continues to teach private and group Ballet classes throughout the Bay Area, and the United States, to share his journey of finding the best methods for maintaining one’s body strength, flexibility and control, both on stage and in the studio. In conjunction with his physical focus, Brett has also realized that the body, mind, spirit connection is an integral part of living for everyone. To this end, he has become a Trained DeMartini® Method Facilitator, a modality for anyone desiring to free themselves from limiting beliefs and wanting to live a more balanced existence. Above all else he enjoys helping others to find the power within themselves so that they may live a healthier and expanded life in all ways. Raissa Chazova-Bauer is dedicated to bringing the most efficient, safe and effective aspects of training to all of her students. She is consistently looking for new and varied approaches to building bodies that are less susceptible to injury, having experienced many of them herself during her training years. Mrs. Chazova-Bauer received her ballet training from the Professional Ballet school in Kazakhstan instructing in the Vaganova Curriculum, one of the few remaining schools from the former Soviet Union. She graduated from the 8 year program having thoroughly studied classical ballet, character and contemporary dance, and also spent a full year at the Novosibirsk Ballet School in Russia, accruing over 7,000 hours of classical training in total. In 2006 Raissa was hired as an apprentice and performed with The National Ballet Theater of Kazakhstan for 2 years sharing her talents in classical ballets such as, Nutcracker, Swan Lake, Don Quixote, Sleeping Beauty, as well as Legend of Love. 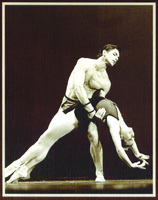 In 2007 Mrs. Chazova-Bauer participated in The First Korean International Ballet Competition. 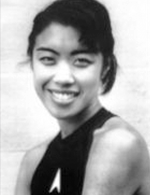 In 2008 Raissa joined the School of Oregon Ballet Theater where she broadened her neoclassical ballet horizons, learning the Balanchine style and performing in OBT’s productions of Swan Lake(Christopher Stowell) and The Nutcracker(George Balanchine). The following year Raissa returned to Kazakhstan where she began her teaching career and was quickly named, the Artistic Director of “The Dance Academy”. She simultaneously took on the role of Ballet Coach for a rhythmic gymnastics team that would go on to win multiple, and consecutive, gold medals in international competition under her tutelage. Raissa returned permanently to the United States to live in Portland, OR in 2012 teaching at the Sultanov Russian Ballet Academy. She also acted as lead coach, then later Program Director, for Rose City Rhythmic Performing Arts and Collaborative during her time there. In September 2015 she brought her talents to San Jose, California where she immediately joined the faculty of Los Gatos Ballet and Contra Costa Ballet Center, and in 2016 Raissa accepted the position of Program Director for Los Gatos Ballet. She has spent much of her creative and technical energies in this position building a working Syllabus for the schools ballet curriculum, while also teaching, coaching and dabbling in choreography. further incorporate the work into her training. During her years of training and teaching it also became apparent that incorporating personal development into her class strategies was a must. To this end Raissa incorporates techniques into her programs that allow students to find their true mission and fulfillment in life whether they plan to dance professionally or not. Achieving a balanced mind and body is a critical step towards growth in all arenas of life, but especially when dealing with the stresses and demands of a professional ballet career. Raissa is excited to share her unique classical background and individual knowledge to help her students achieve the highest level of excellence and achievement. She looks forward to collaborating with schools, both nationally and worldwide, to aid and facilitate in the development of young, engaged individuals. Recently performing as a Guest Artist in our 2016 rendition of The Nutcracker Ballet as Frau Stahbaum and the Sugarplum Fairy, Tsutsumi has internationally toured with Matusuyama Ballet Company to Washington D.C., New York City, China and Japan. 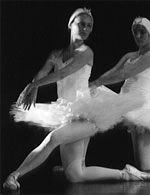 Major ballet works are Swan Lake, Sleeping Beauty, Nutcracker, Cinderella, Theme and Variation, and Imperial Ballet. She received Saitama Prefecture Society Award in 1986 and Japan Ballet Association Award in1987 at Saitama National Dance Competition. She is a director of her Epaule culture school and performs as a guest artist in Tokyo.